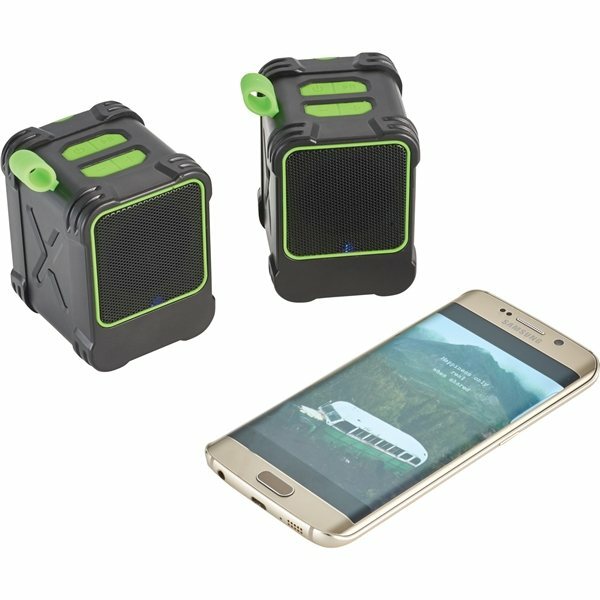 The Bond Outdoor Waterproof Pairing Speakers are a must have for anyone that loves adventure! 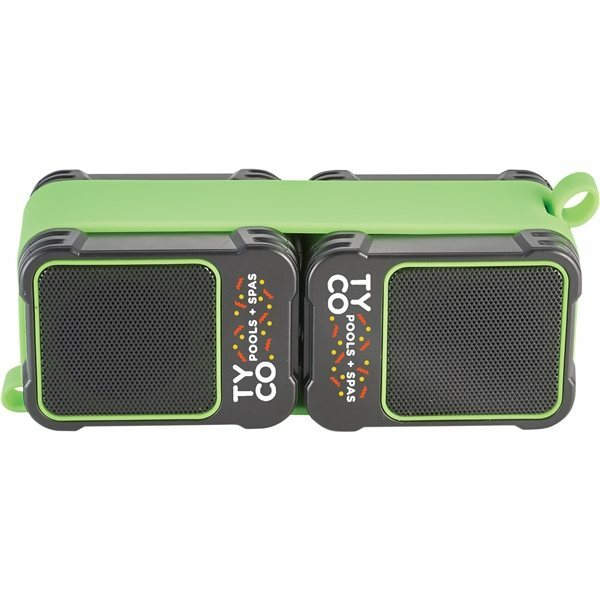 Included are two waterproof Bluetooth speakers that can be used independently or paired together to create true surround sound! 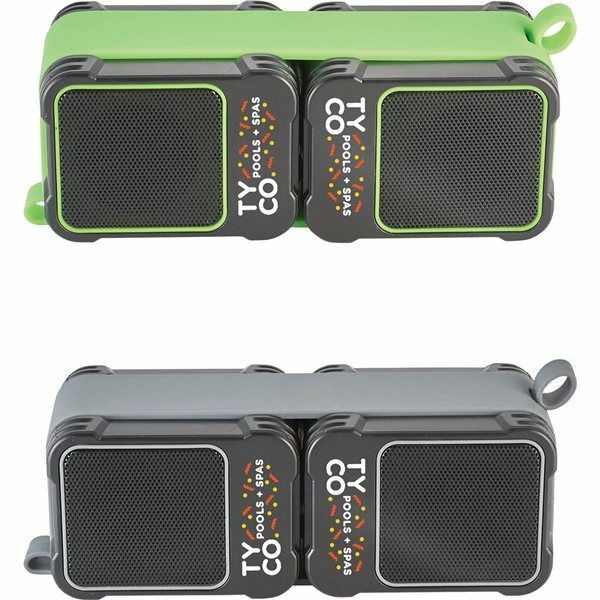 Each speaker has a 3 Watt Output which will certainly fill your campsite, picnic, golf cart, or tailgate with crystal clear sound! 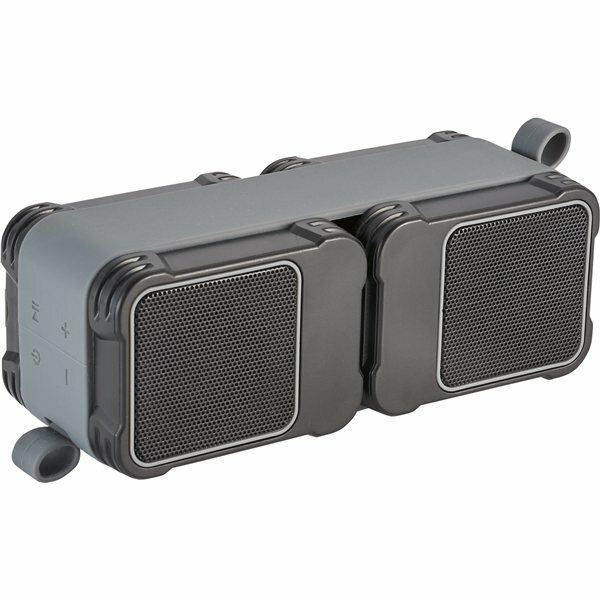 With a waterproof rating of IPX5, you don’t have to worry about the speakers becoming damaged when they become wet. 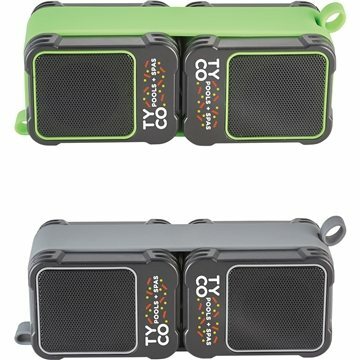 In the bottom of each speaker is a magnet which allows them to stay extra secure on any metal surface. 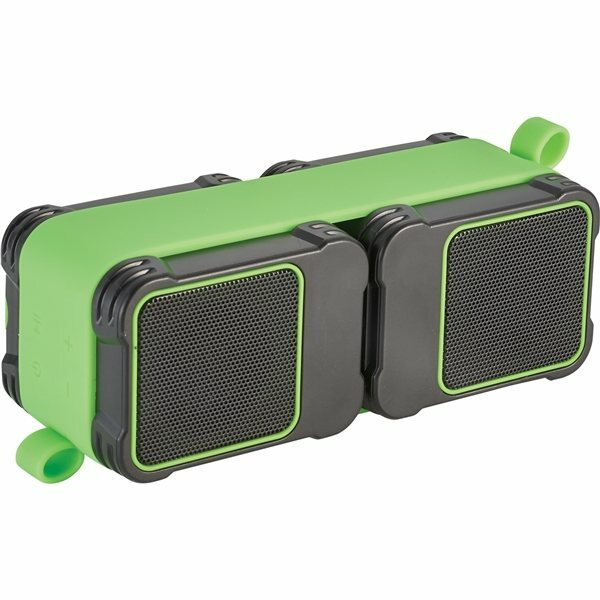 Also included is a silicone wrap the packages the speaker together and a carabineer making them great for travel! Playback time at max volume: 3hrs. 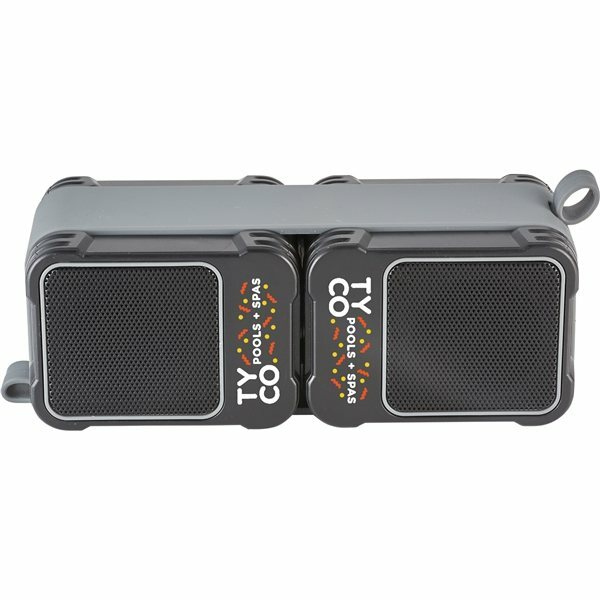 Features Built in Music Controls and a microphone for hands free operation. Includes Micro USB Charging Cable and 3.5mm Aux Cable. Bluetooth Working range is 33ft.